3 Discs DVD (Distributor: Fremantle Media) Running Time: 555 minutes approx. 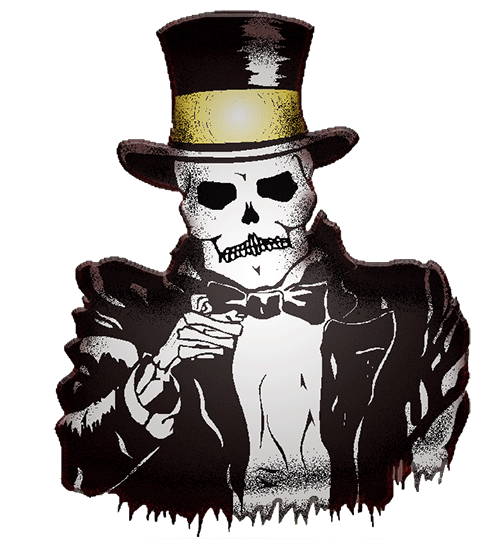 Unless you follow the “insider” news pertaining to pro-wrestling, the irony of host Charlie Caruso proclaiming 2018 a “one the best years ever in WWE” will be lost on you. This irony is that in 2018 both RAW and Smackdown LIVE posted their lowest ever ratings, the latter at one point dropping below 2 million viewers. RAW came close to a similar ratings disaster quite a few times, saved only by virtue of being three hours long, although this seems to be part of the problem as the audience drop off between the first and third hours has been dramatic on many occasions. One major problem is the lack of Universal champion on a weekly basis, with Brock Lesnar effectively holding the belt to ransom for all but three months of the year when Roman Reigns was champ. But we shouldn’t dwell on this, especially as WWE signed a multi-million dollar deal with FOX for SD Live, and revenue for 2018 rose by nearly 30%, but the average WWE fan won’t know or care what this means; WWE certainly don’t as they put on a brave face and present their annual look back at the prior year in TV. 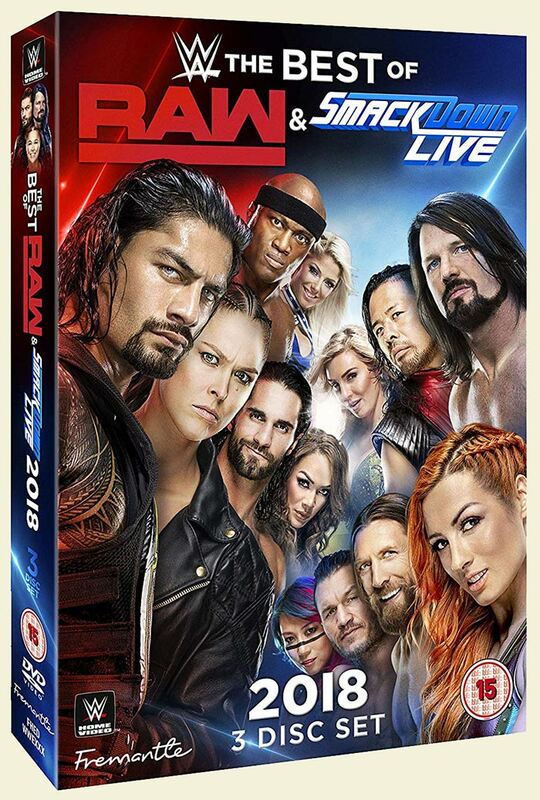 This three-disc set contains a selection of matches and segments from 2018 which the WWE DVD compilers believe are the most memorable. Personal mileage will vary, of course, as to how true this statement may or may not be, but no-one can deny that WWE also provides voluminous content in these collections, this particular release running just over 9 hours (or one Wrestlemania). As the years seem to be passing by much quicker than ever, and with WWE churning out five hours of TV product a week just on these two shows alone, chances are a lot of the material here has been forgotten, so if anything, this provides a nice reminder of them. Running in chronological order, there are 17 entries from each show (only7 are women’s matches), which is surprising given how RAW is an hour longer than SD therefore has more material to choose from. – unless it is an admission that there is less quality stuff on RAW! Truth be told, the biggest issue on RAW was the repetition – for example the majority of the summer months saw endless permutations of The Shield vs. Strowman, Ziggler and McIntyre feud dominate the show every week. In fact, Seth Rollins is featured in four matches in this collection, tying with AJ Styles and Daniel Bryan as most featured wrestlers, followed by Roman Reigns, Drew McIntyre, Shinsuke Nakamura and The New Day with three each. There are fewer non-wrestling segments than before, with just three – Daniel Bryan’s announcing his clearance to wrestle from SD, Kevin Owens and Elias incurring five minutes of boos from Seattle fans, and Dean Ambrose burning his Shield gear from RAW. Just like every other WWE release that bears the legend “Best of”, this will be subjective when looking at the match line-up. Naturally, there are a few corkers here that require your attention – Asuka’s outings against Sasha Banks and Bayley respectively from RAW in January stand out on disc one, along with AJ Styles first meeting in WWE against Daniel Bryan on SD, and an IC title match between Seth Rollins and Finn Bálor. On the other end of the scale is the long forgotten US title tournament final pitting Bobby Roode against the inexcusable Jinder Mahal, the entire post-WM 34 angle with Charlotte Flair being attacked by the Iiconics followed by Carmella cashing in her MITB briefcase, both from SD, and one of the many matches between Kevin Owens and Braun Strowman in their interminable feud of the early summer. Disc two highlights include a five-man No 1 contender’s gauntlet match on SD and one of the many Rollins vs. Ziggler IC title matches before the feud got boring. Whilst not a good match, Ronda Rousey’s first ever TV match on RAW against Alicia Fox is included here, but this disc belongs to The New Day, who are featured in three matches as a team (one is the title win over The Bludgeon Brothers due to Rowan’s injury) and a solo outing for Big E.
Arguably the strongest for in-ring action, disc three boasts two Daniel Bryan matches, one against Andrade (nee “Cien” Almas) and the title match against AJ Styles where Bryan turned heel. Andrade returns for another decent match against Rey Mysterio, whilst Becky Lynch and Charlotte Flair face off in a No DQ match which led to their now classic Last Woman Standing match at the Evolution PPV. Trish Stratus & Lita wrestle the first time on RAW in years as part of a fun 10 woman tag the night after Evolution as the nostalgia factor got over big at the PPV, whilst Dean Ambrose’s shock turn on Seth Rollins on the night Roman Reigns announced his cancer is here too. Another downer is Big Show vs. Randy Orton from SD – not just bad but unnecessary. Hindsight is an interesting thing and what this retrospective does is expose how limited the scope of matches and feuds was in 2018 were to pick highlights from since some went on forever, with the participants facing off on TV and PPV for months on end. Even this is inescapable when compiling the matches for this release, but to be fair the choices are wise enough not to give this impression for those with short memories. Personal cynicism aside there is no denying that this release provides the average fan with a sufficient chunk of WWE action to reflect on the year of 2018. What are missing though are recaps of the bigger angles and feuds that have been overlooked to make this a truly representative almanac. With numerous extant compilations of this nature fans know what they are getting with this Best Of release and should enjoy this pedestrian but solid reflection on 2018 on WWE TV.